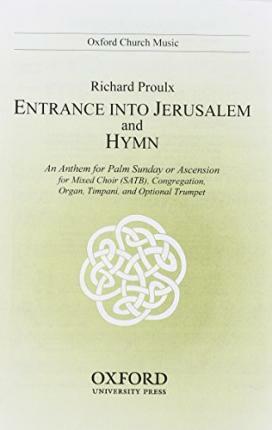 Suitable for SATB, organ, timpani, and optional trumpet, as well as unison congregational hymn. This anthem contains the words 'Lift up your heads, O ye gates!' followed by the congregational hymn 'All glory, laud and honour' that are suitable for Palm Sunday or Ascensiontide. The music is particularly suitable for a procession.